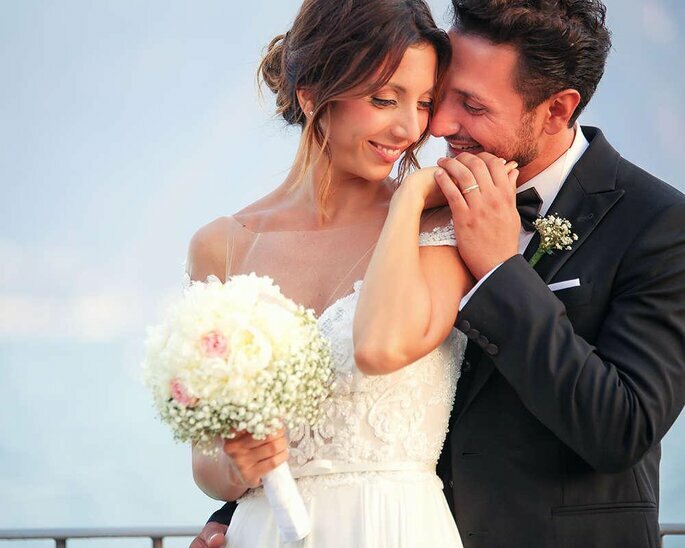 Italy offers couples the full package when it comes to destination weddings: an idyllic setting, age-old cultures, world renowned cuisine and timeless romance. However, it’s easy to feel put off by destination weddings because they involve planning a wedding far from home. With a wedding in Italy, you can’t just pop to the church or meet with the local florist – unless you live there, of course. Everything is done over the phone or via email, which many would find stressful. 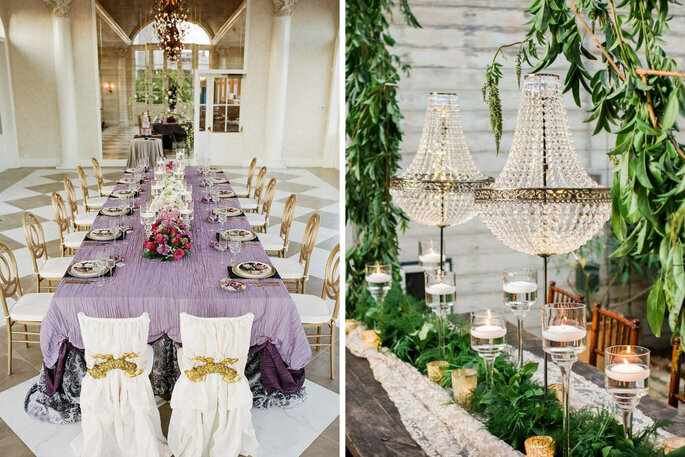 But with these 5 steps and our useful tips, planning a wedding in Italy can be an almost stress-free experience. We promise that jetting abroad to this land of love is always a great decision, and there are certain ways to ensure that it will be a spectacular day that no-one will ever forget. Italy is known worldwide for its luxurious fashion houses, with Milan being the 4th Fashion Capital of the World. So why get your wedding outfits elsewhere? When you first visit your destination, maybe organise a few visits to dress boutiques nearby, and you’ll fall in love. 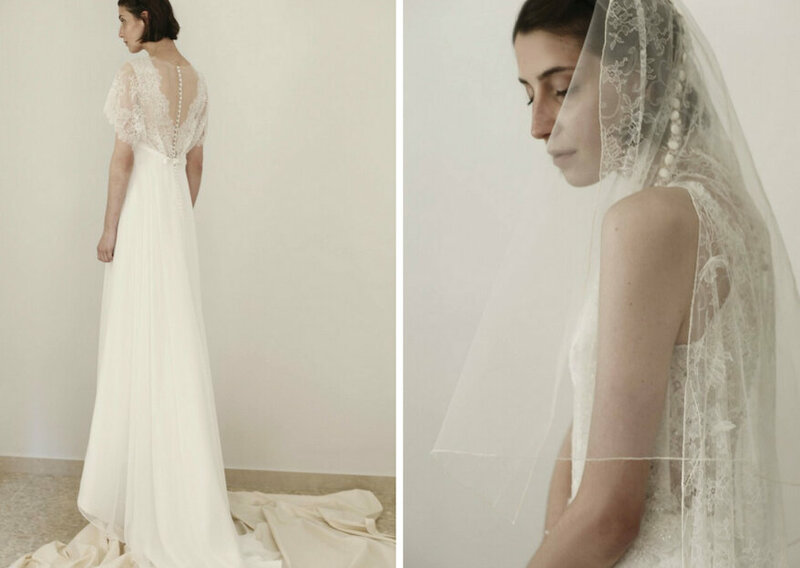 Antonella Rossi in Rome is the epitome of timeless Italian romance and luxury, incorporating delicate fabrics and exquisite embroidery. Here you will find the perfect dress to match your authentically Italian wedding day. 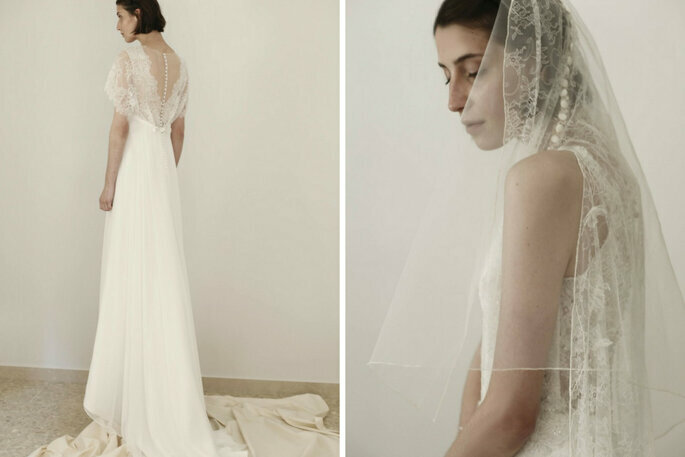 Antonella Rossi has an international reputation for their evolving collections, and also make elegant menswear, so your groom-to-be should also pay a visit! If you find a wedding planner who is local to your chosen destination, then planning a wedding abroad is pretty easy. Depending on your budget, a destination wedding planner can organise as many details as you need them to, from sorting the venue and the legal requirements, to taking care of your guests with transport, accommodation and delicious food. If you’re looking towards Southern Italy for your wedding, and in particular, the beautiful island of Sicily, then check out My Sicily Wedding. Sicily is known worldwide for its amazing hospitality, which constitutes a major part of this wedding team’s ethos. Here you can marry in a historic castle or a relaxing beach location, and the planners at My Sicily Wedding will strive to ensure that everything goes to plan. 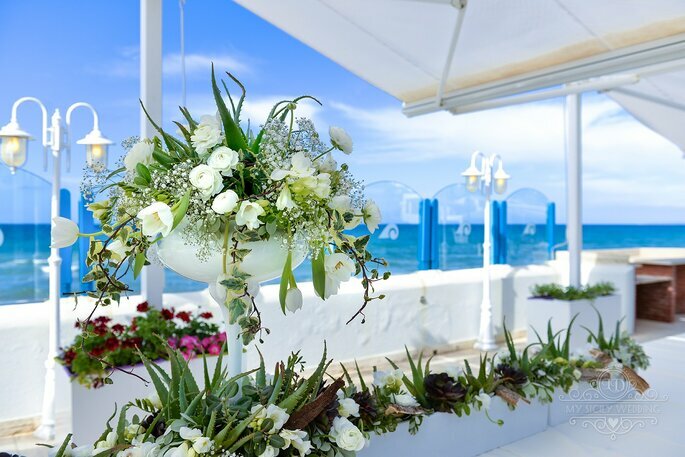 Blue Gardenia Events are another fantastic wedding planning team, this time based in Reggio Calabria – a beautiful coastal city in Southern Italy. Headed by Paola Canale, this team boasts a strong network of local suppliers and event services, so you can expect high quality vendors with the best possible prices, without doing all the stressful research yourself. The attention to detail at Blue Gardenia Events is both exquisite and creative, proving that the perfect fairytale wedding really does exist. The problem with organising destination weddings tends to be a lack of knowledge about the variety of venues and beautiful marriage spots available. This means that many couples will settle on hotel venues that they find early on in their search, because they offer easy package deals. However, Italy has a varied landscape of lakes, mountains, beaches, cities and lush hills. Italy has castles, villas, Catholic and Christian churches, vineyards, restaurants, beaches and terraces that all make amazing wedding venues. So make sure you choose one that best reflects your style and personality as a couple. A wedding planner with knowledge of the area can help with this. Or, an extended visit to your general location could help, because you will have time to visit lots of venues in person, and decide which feels the most you. 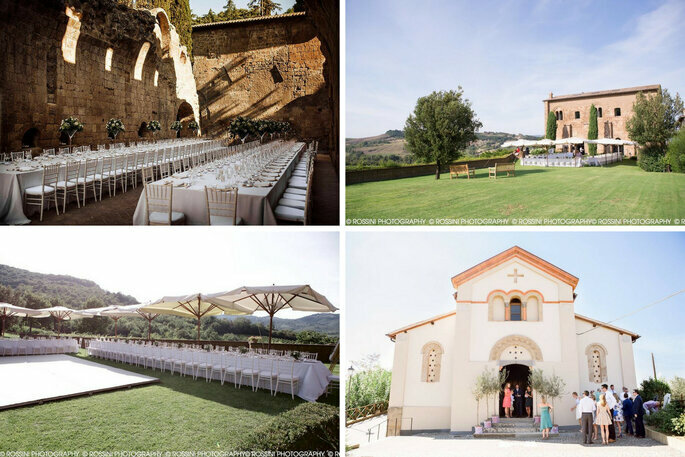 Based in the beautiful rolling hills of Umbria, Sylvia Melone is a wedding planner who enables couples to choose between a variety of rustic-chic and fairytale countryside wedding venues, such as historic ruins, vineyards and intricate churches. So if you’re looking for that authentic Italian charm and a romantic wedding style, then she should be your point of call! Did you even get married in Italy if you don’t have fabulous photos to show for it? A destination wedding in Italy is possibly one of the most picture-perfect events there is, so make sure you have every special moment preserved in time by a local photographer. One photographer that we love to recommend to destination wedding couples is Studio Fotografico Longano, who combines his love for the beauty and nature of his home country with his passion for human emotions to create beautiful photos of Italian weddings. His artistic ability to document every spontaneous moment of each wedding produces wonderfully candid photos that you will want to look at over and over again. Alternatively, Fotografi Pirozzolo operates all over Italy and even works internationally, striving to tell every couple’s unique love story through creative photography. Fiorentino and Carmine Pirozzolo are a friendly and accessible dynamic duo who will make you and your guests feel right at home, and being comfortable with your photographer certainly makes for the best shots! In Genova, you can also find the lovely Carolina & Rebecca of Sweet Photo Factory. They have the unique ability to use their sensitivity in their work, to really understand each individual and what they are feeling. They absolutely LOVE weddings, especially destination weddings, and so would be honoured to be present during your dream wedding day and to preserve those emotions in time. Food plays a considerable role in Italian life and culture, often being the focal point of any event or family gathering. Italians put so much love and care into their cuisine, that it has a renowned reputation for being rich, hearty, warming and delicious. So, make sure it’s the focal point of your wedding too. In fact, your wedding wouldn’t be true to Italian culture if you didn’t prioritise the catering. 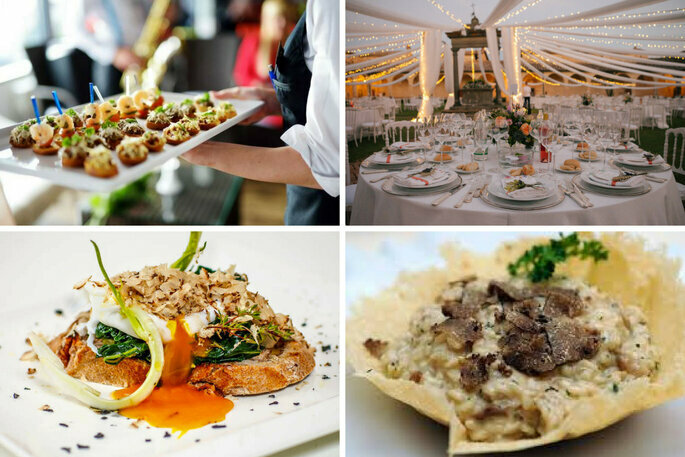 Make sure you find one of the best caterers around, one that can delight your guests with authentic Italian flavours, but is also willing to adapt their menu to your every wedding need and dietary requirements. The Mencarelli Group is a top recommendation, because with 50 years of experience, this brand’s journey has moved from a family-owned restaurant to becoming award-winning caterers operating all over Italy. This five-star catering service creates personalised menus, and even provides entertainment solutions such as live cooking, and serving out of old fashioned cars.